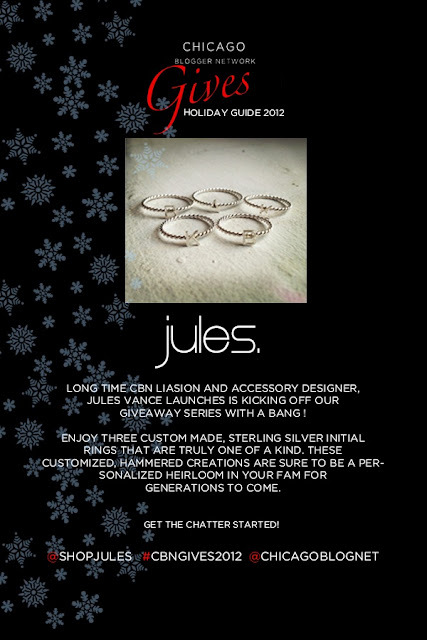 Long time CBN Liasion and Accessory designer, Jules Vance launches is kicking off our giveaway series with a bang! Enjoy three custom made, sterling silver initial rings that are truly one of a kind. These customized, hammered creations are sure to be a personalized heirloom in your family for generations to come.